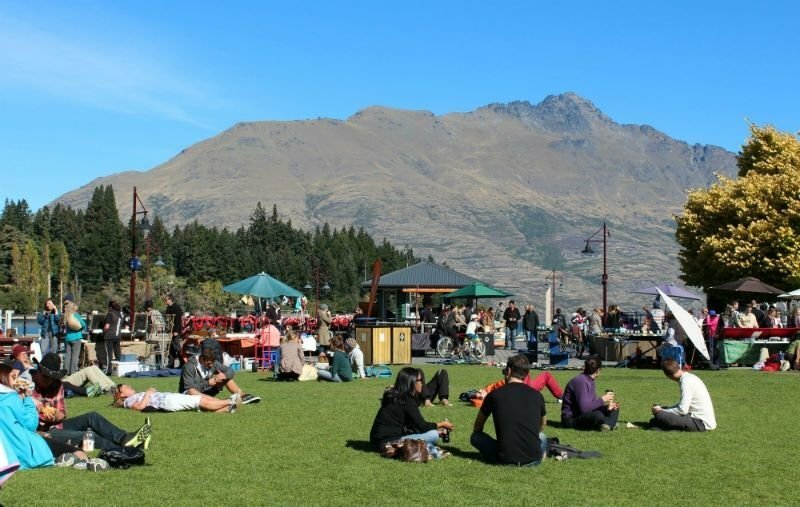 The Creative Queenstown Arts and Crafts Market takes place at Earnslaw Park every Saturday when the park comes alive with vibrant and colourful stalls selling locally made art and crafts. Earnslaw Park's central location next to Steamer Wharf right in front of Lake Wakatipu has shaped its status as a hub of Queenstown. 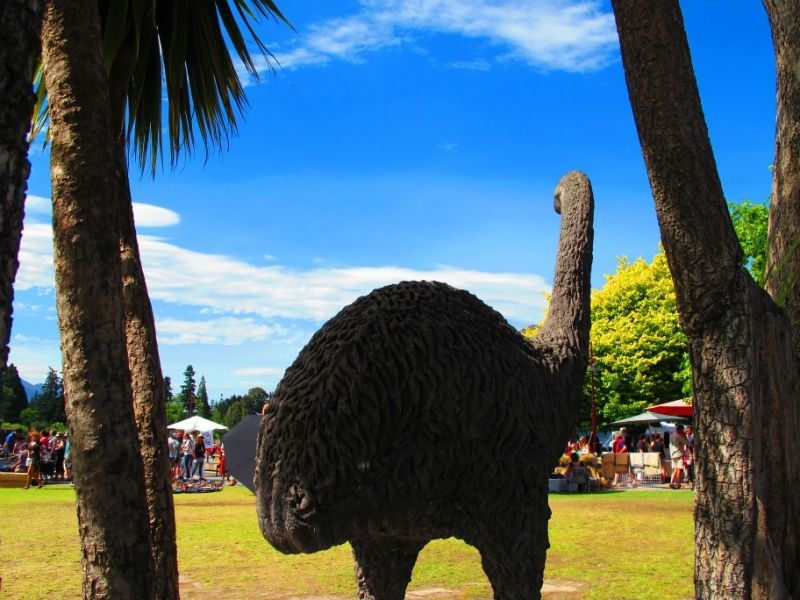 The Moa statue is a popular meeting point for locals and groups and the grassy area provides ample sunbathing opportunities with the Willow trees presenting a shady respite from the hot summer sun. 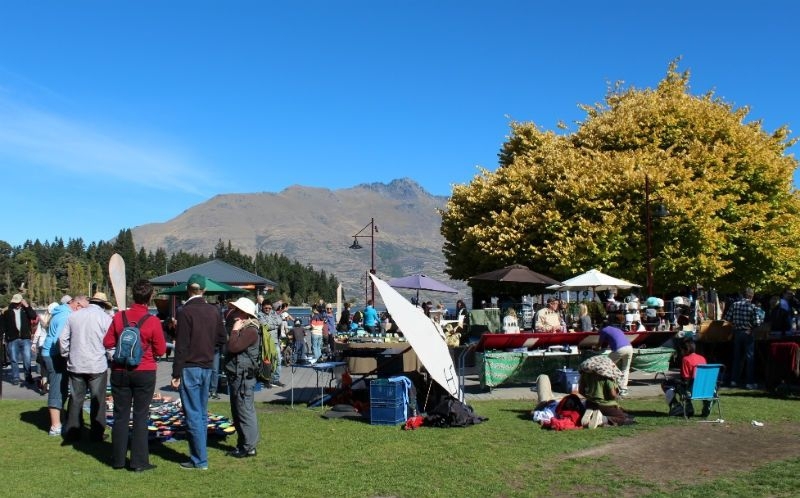 The Creative Queenstown Arts and Crafts Market takes place at Earnslaw Park every Saturday when the park comes alive with vibrant and colourful stalls selling locally made art and crafts. Live music performed by local and travelling musicians is also a feature of these markets. 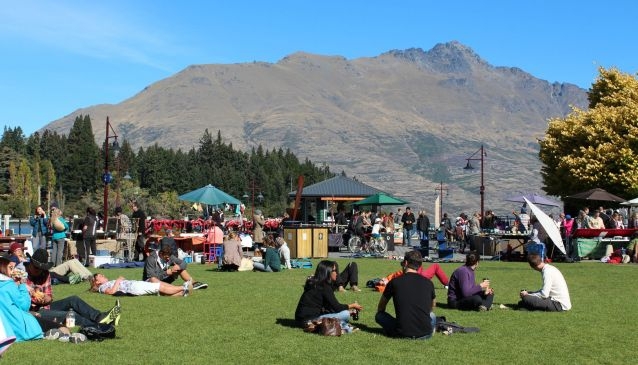 Earnslaw Park is a key spot during events such as the Queenstown Winter Festival, Summerdaze Festival and New Year's Eve when big stages are set up for live music and performance. Surrounding the park are plenty of restaurants, bars and cafes that all take advantage of the wonderful lake views and stunning mountain scenery. The park features restroom facilities.